Super easy soup. You can prepare this soup in 3 minutes! 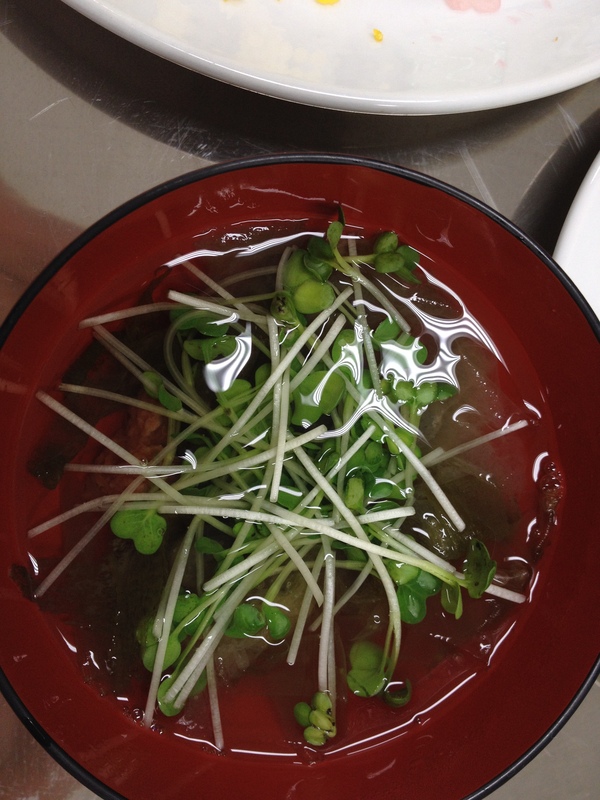 ① Place kaiware from which the roots have been removed, oboro konbu, Umeboshi paste, and soy sauce into a soup bowl. Pour in the hot water.